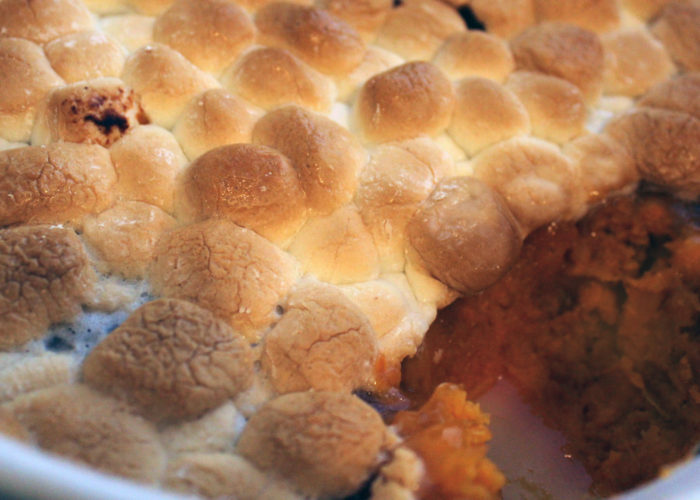 Individual rounds of a popular holiday dish, sweet potato casserole, warm, comforting and ready to be devoured! Sweet potatoes and brown sugar go hand in hand during the holidays. This recipe for sugar and spice smashed sweet potatoes is a twist on the traditional recipe. I am always searching for new ways to reinvent old recipes. 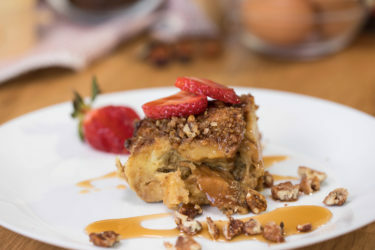 My Hispanic twist on these smashed sweet potatoes is the use of piloncillo or panela. It's a brown sugar cane that is popular in many Latin desserts. 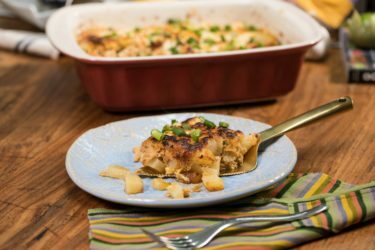 Since sweet potatoes are versatile and can be prepared sweet or savory, this recipe is sure to make both everyone happy. Slice each potato into rounds, 4 rounds per potato. Preheat oil and butter in large skillet for a few minutes. Pan fry the sweet potatoes until fork tender, turning as needed. To help them cook faster, cover your skillet with a lid while cooking. The steam created will help them cook all the way through. Place cooked sweet potatoes on a baking sheet lined with foil paper and sprayed with oil. Gently smash each one to flatten slightly. Sprinkle tops with ground cinnamon. Divide the grated piloncillo among the potatoes. Sprinkle with pecans. This recipe for smashed sweet potatoes can easily be transformed into a savory side dish. After the potatoes are cooked in the skillet and transferred to the lined baking sheet, top with chipotle hot sauce, shredded monterey jack and bacon bits. 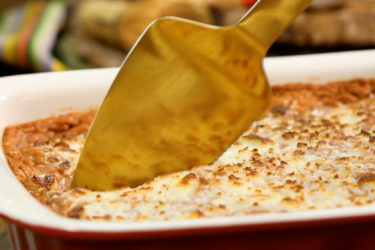 Place under the broiler to melt the cheese.